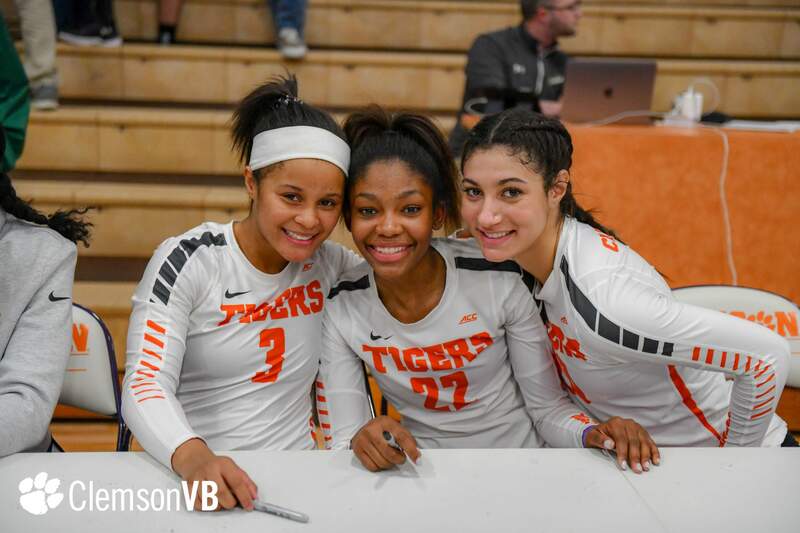 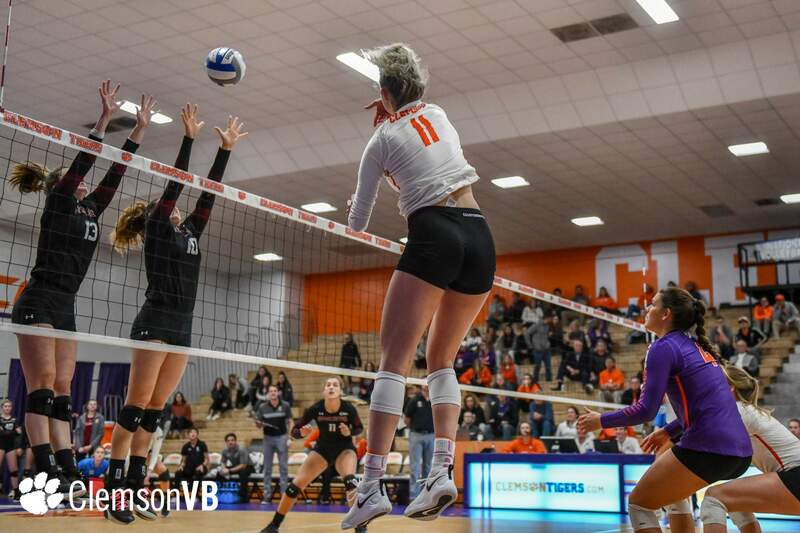 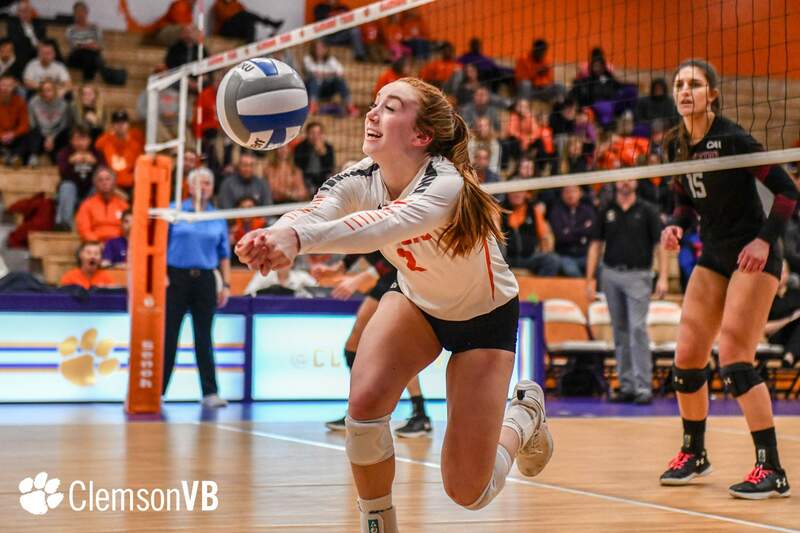 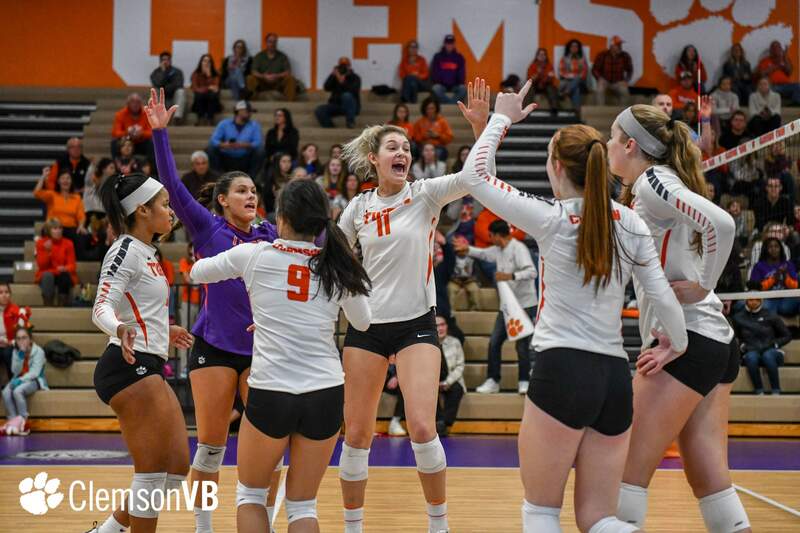 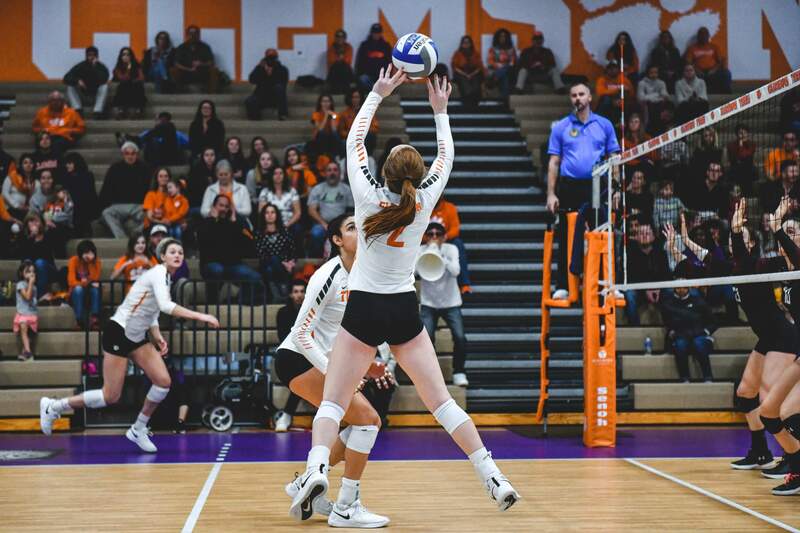 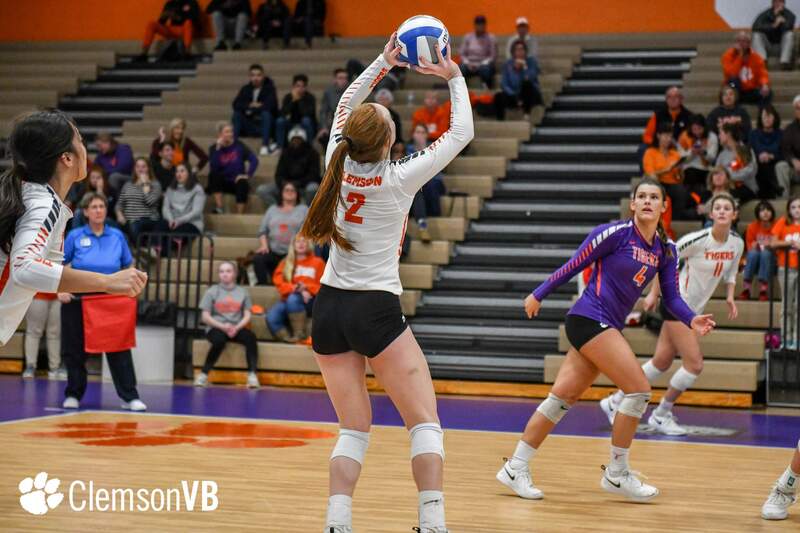 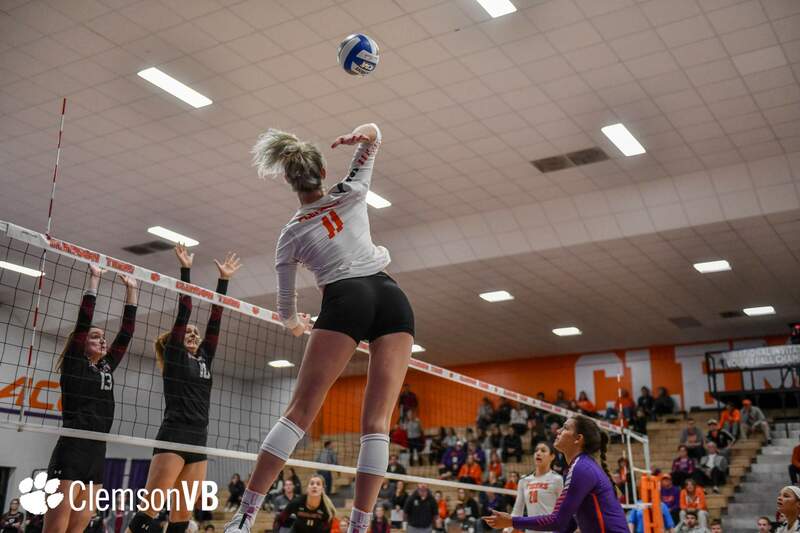 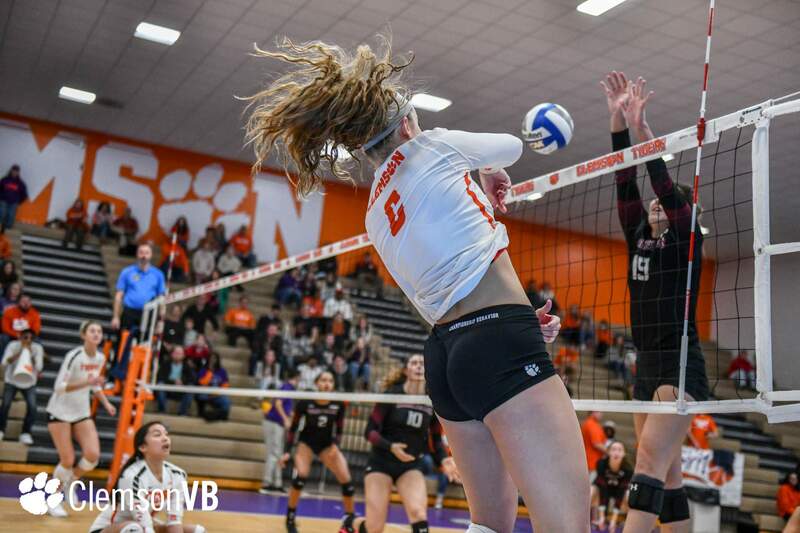 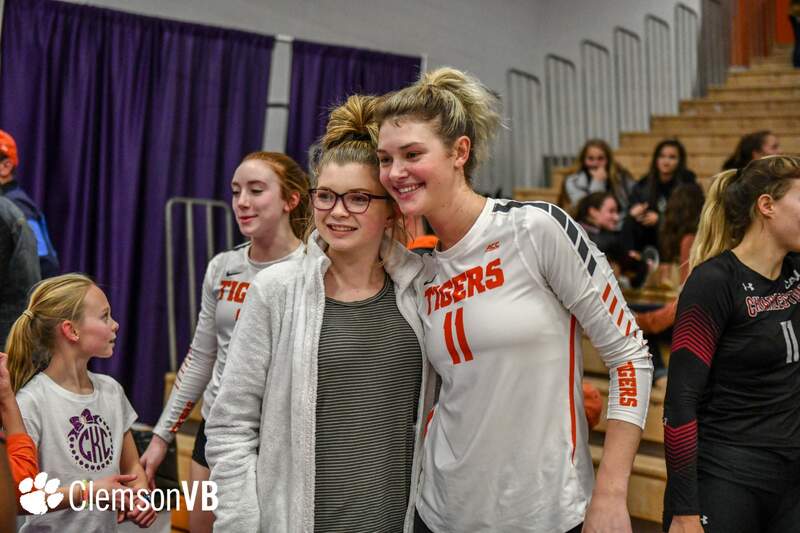 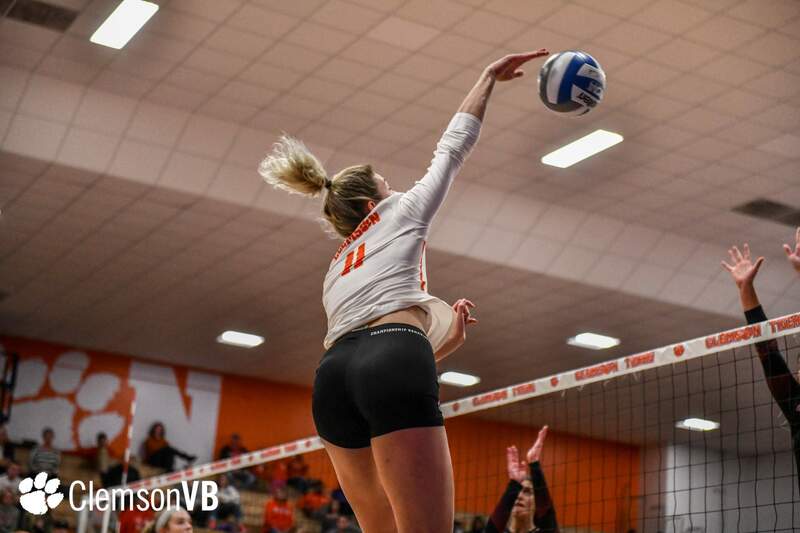 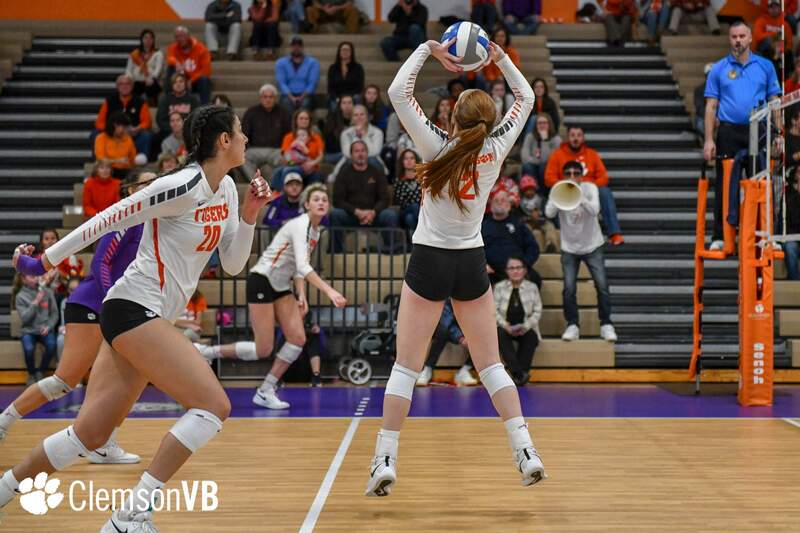 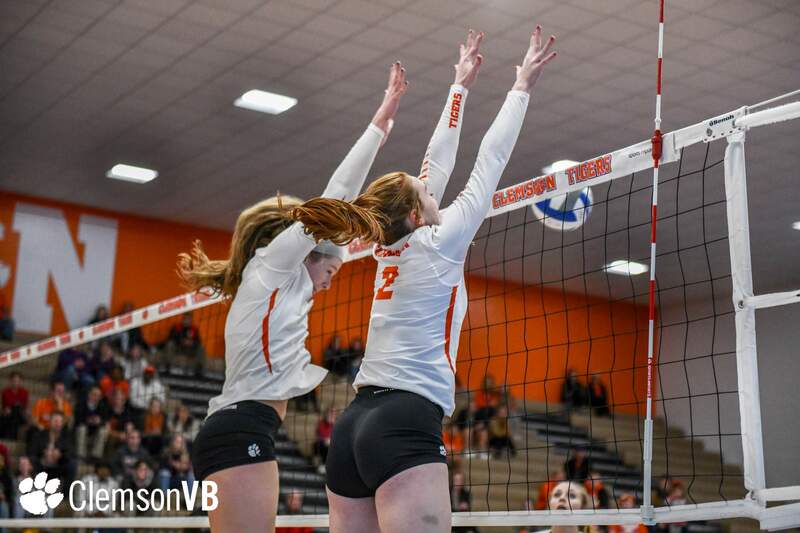 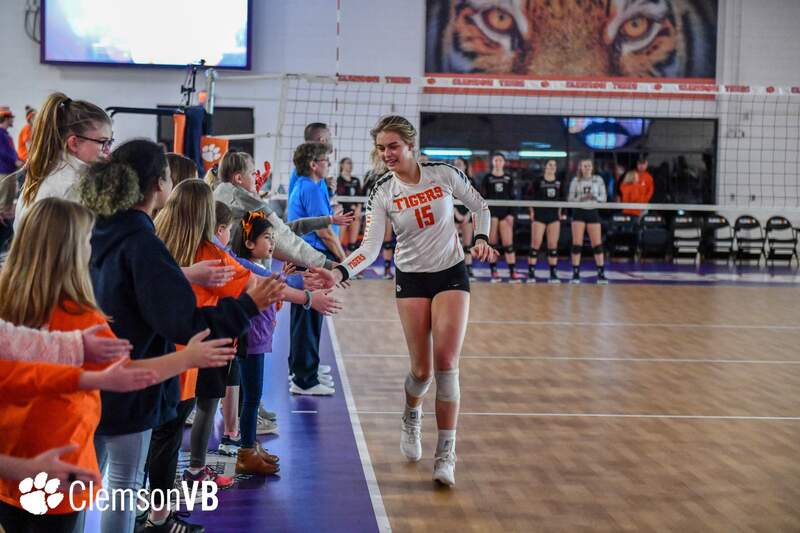 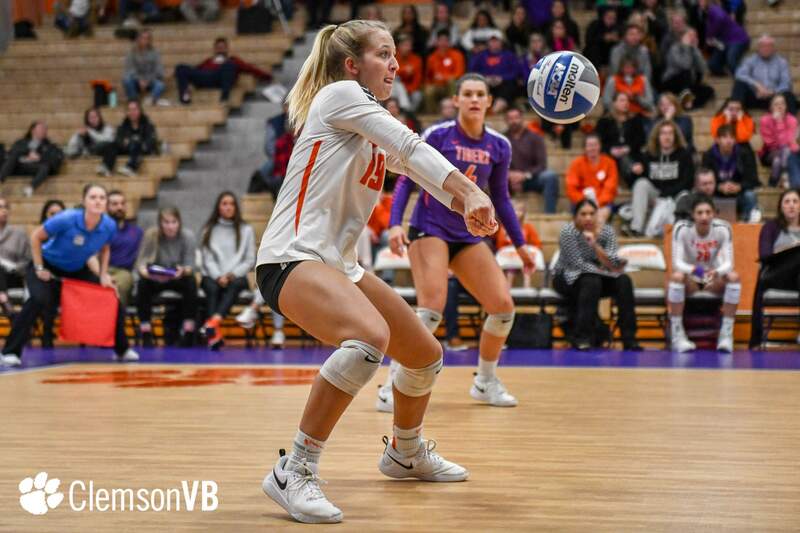 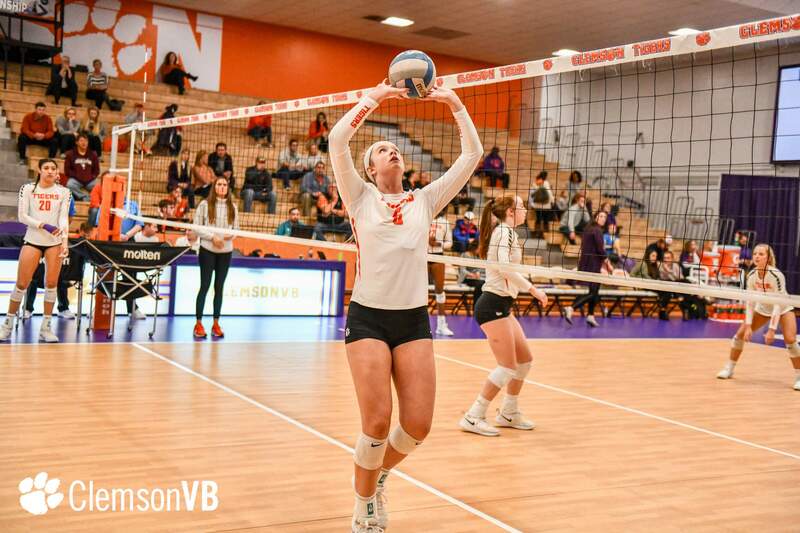 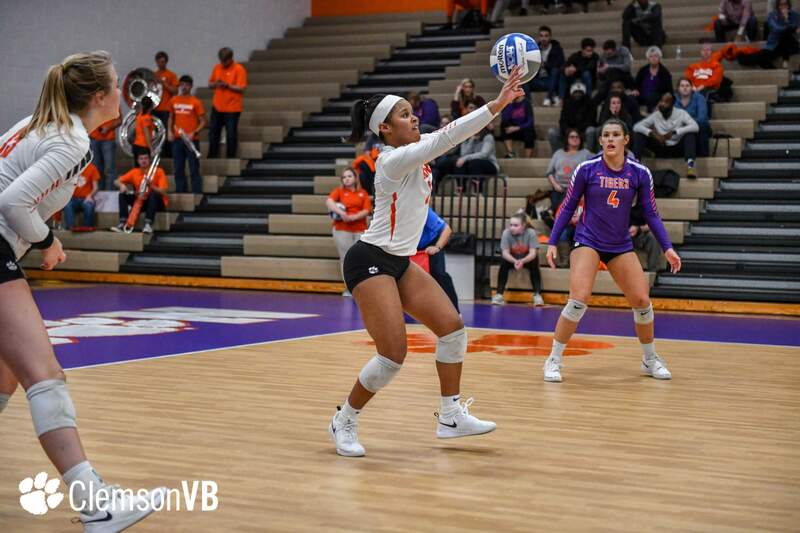 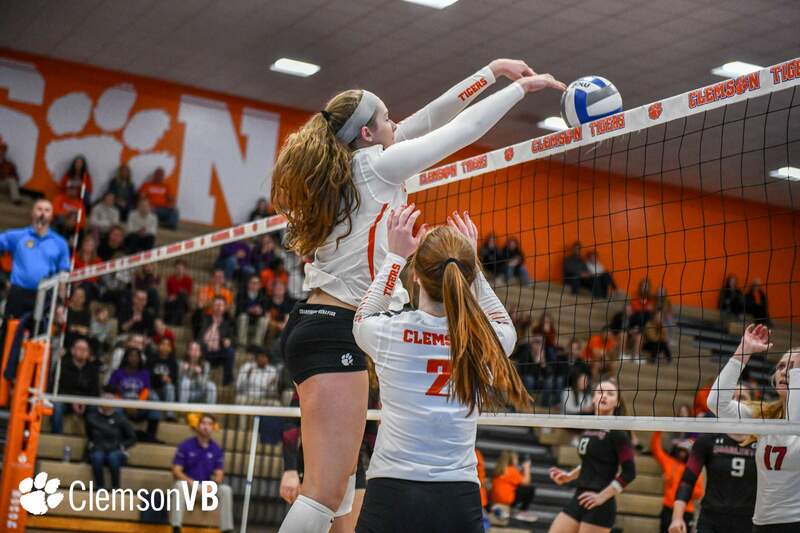 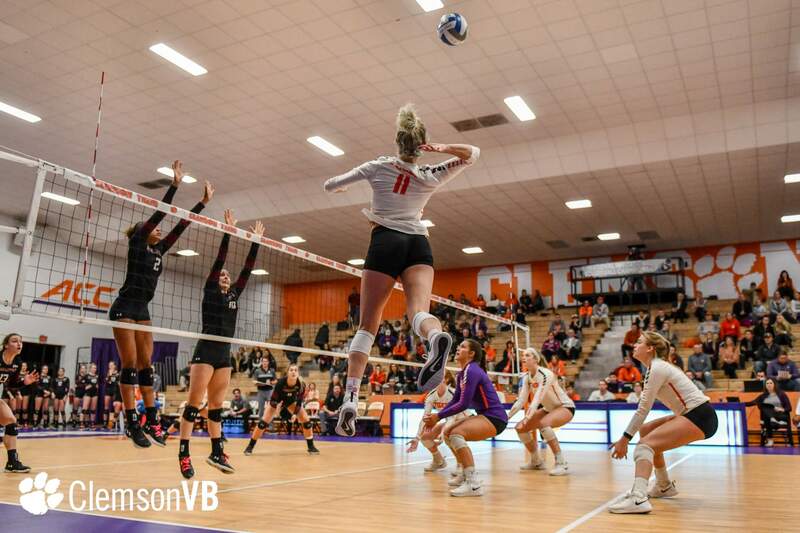 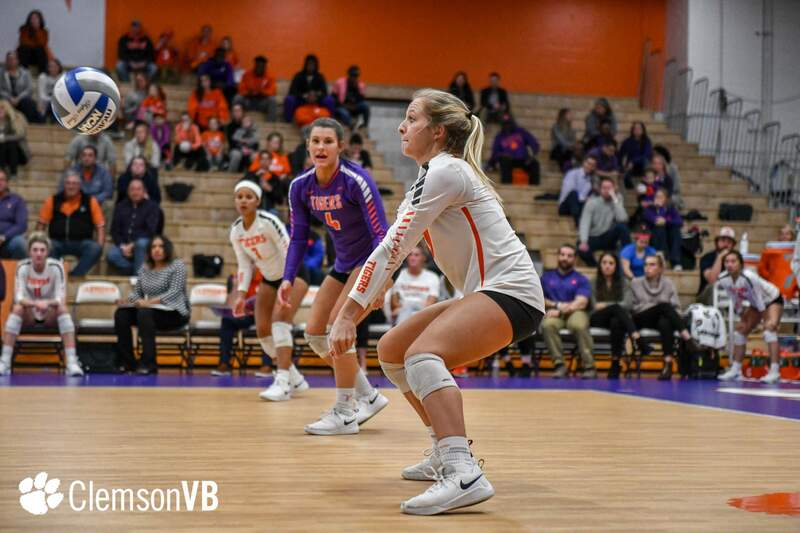 CLEMSON, S.C. – The Clemson volleyball team closed out its 2018 season Thursday as it fell in three sets (22-25, 23-25, 19-25) to College of Charleston (24-11, 11-5 CAA) in Jervey Gym. 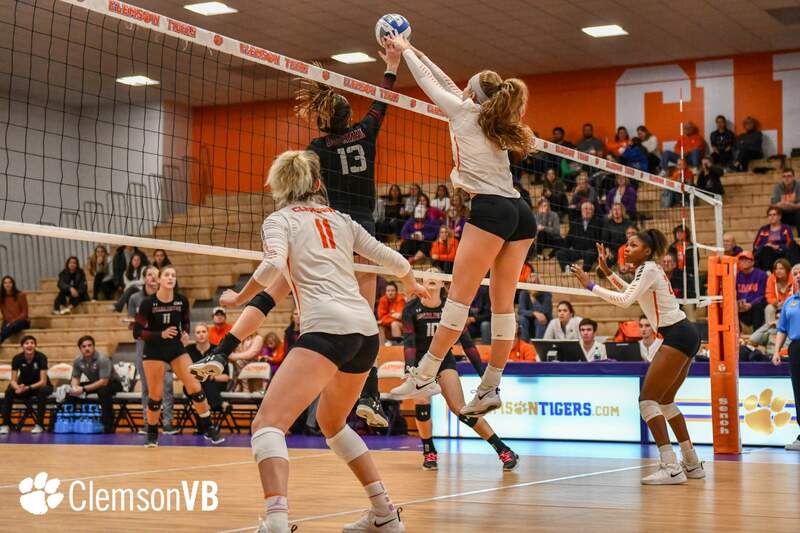 The Tigers ended their season with an overall record of 19-15, which is good for the most wins in a single season since 2012, and 8-10 in ACC play. 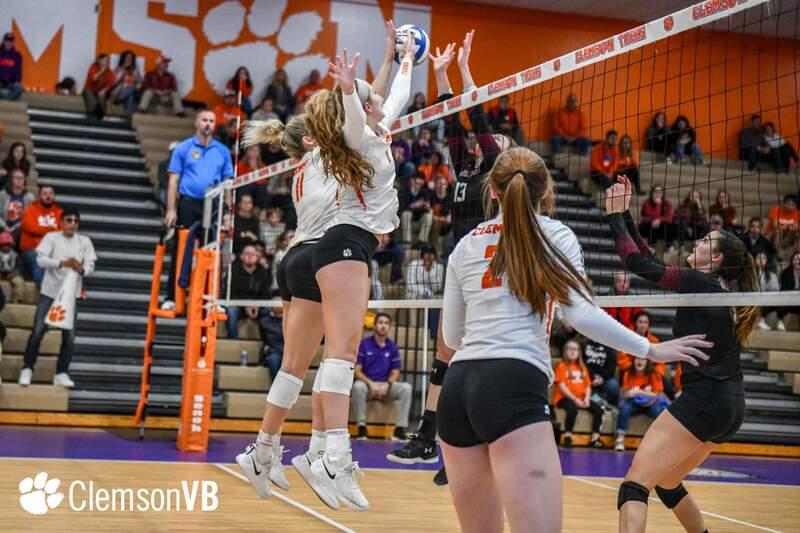 Additionally, Clemson’s back-to-back postseason tournament victories – over Alabama A&M and Radford – are a first in program history. 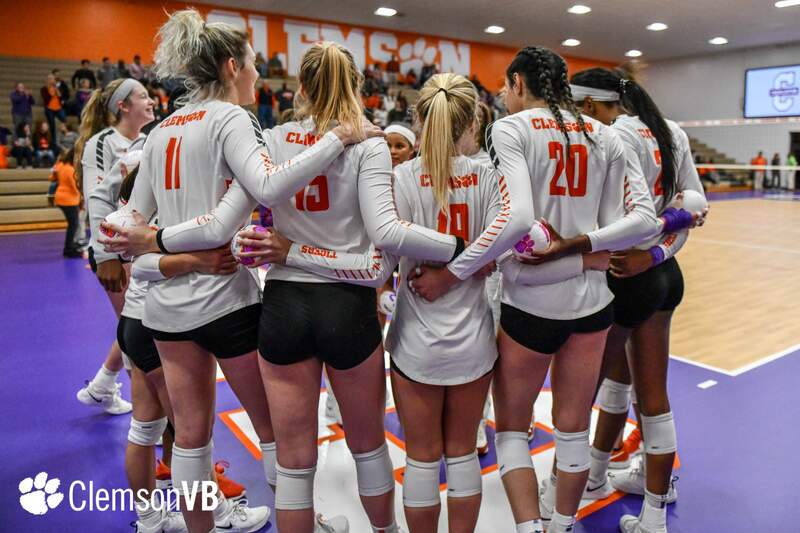 Clemson fell behind early in the first, trailing by as many as eight points, 16-8. 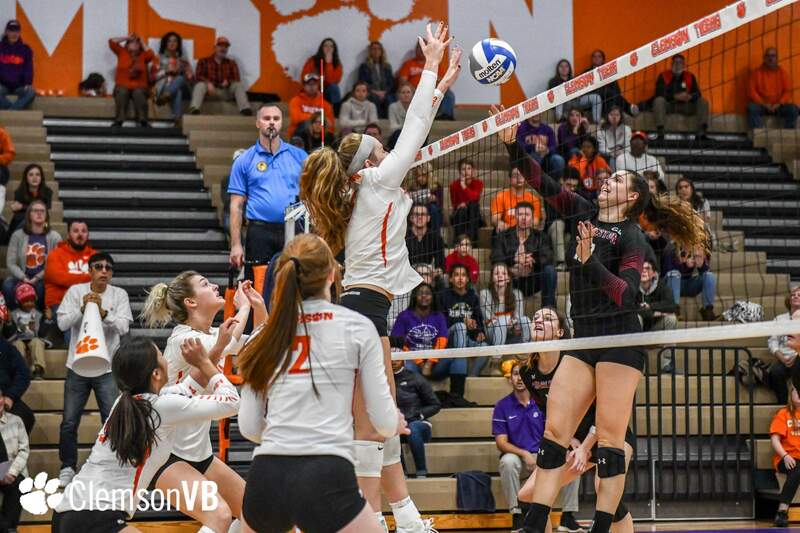 From there, the Tigers rallied to cut the set to within one, 23-22, but Charleston would take the next two points and a 1-0 lead. 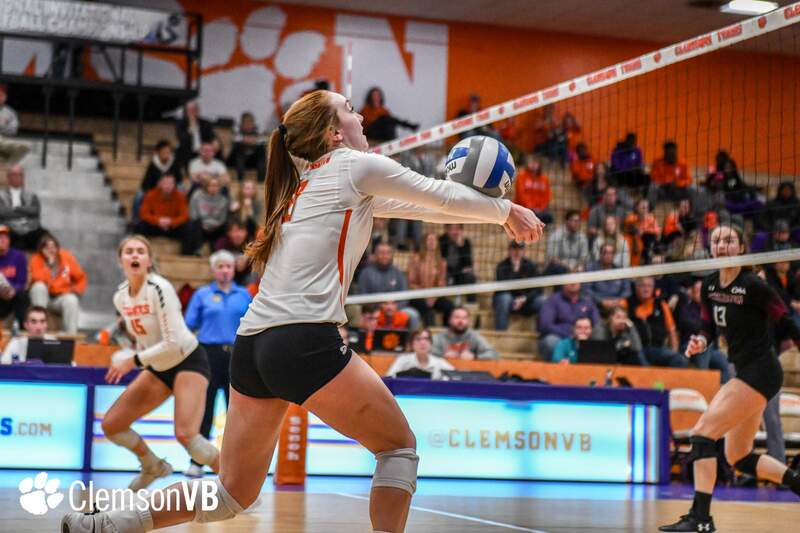 Clemson led by as many as five points, 14-9, in the second, but the Cougars sparked another run go up 22-20 late in the set. 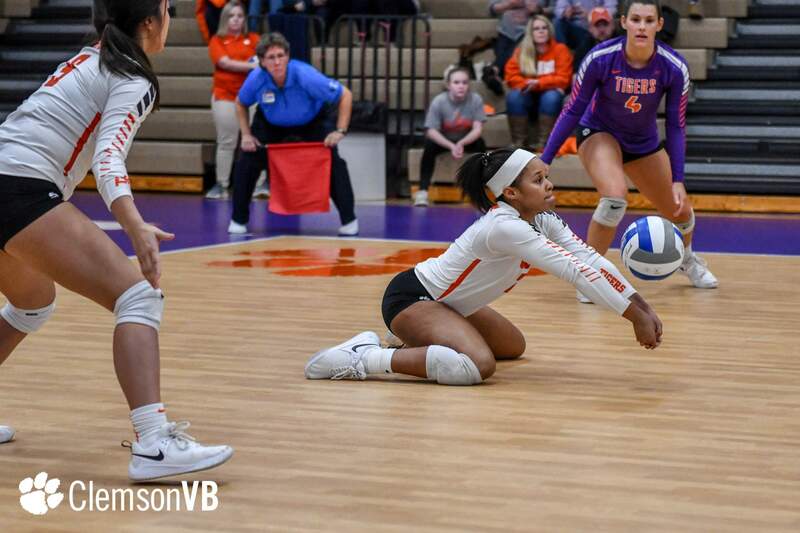 The Tigers evened game No. 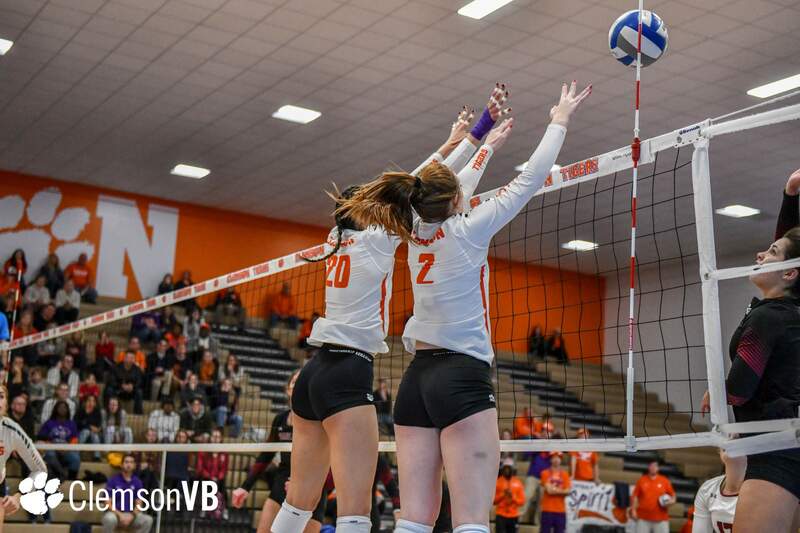 2, 23-23, but back-to-back CofC points would give the Cougars a 2-0 lead entering the break. 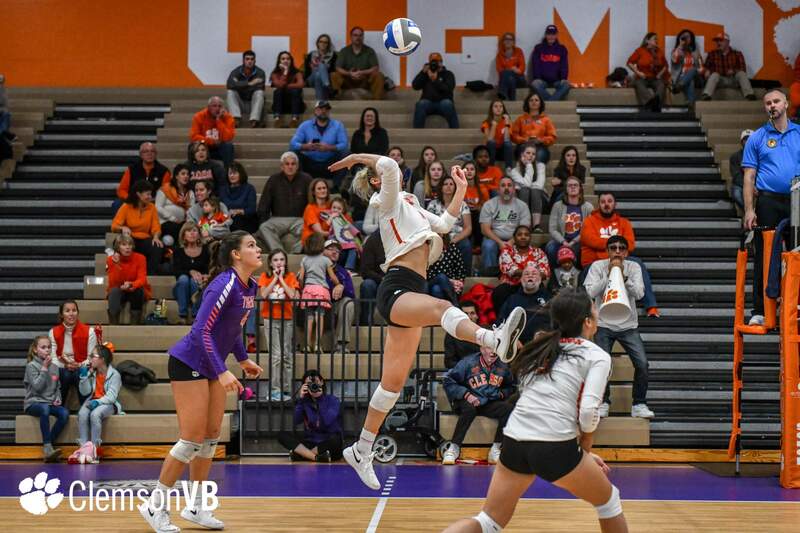 Coming out of the locker room, the Tigers could not find their rhythm as CofC jumped out to a 6-1 lead and never looked back before closing out the set, 25-19, and match. 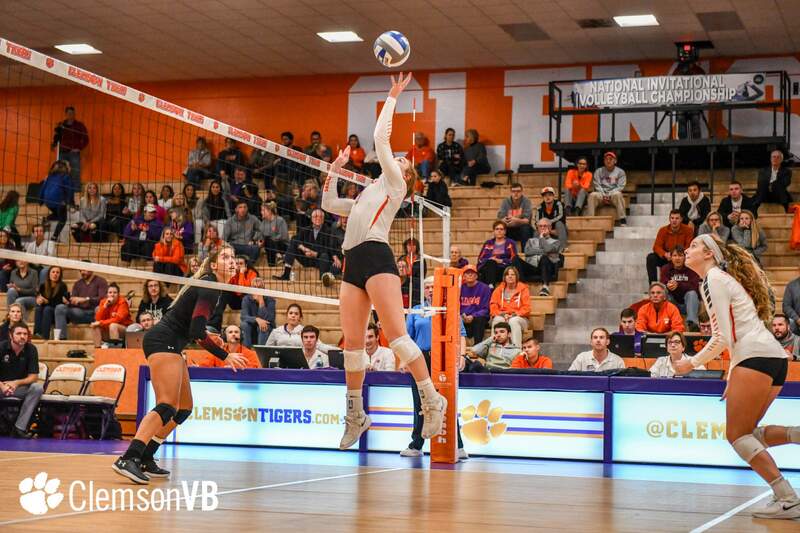 Clemson freshman right side hitter Solei Thomas led the Tigers’ effort with 12 kills on 16 swings while hitting .562. 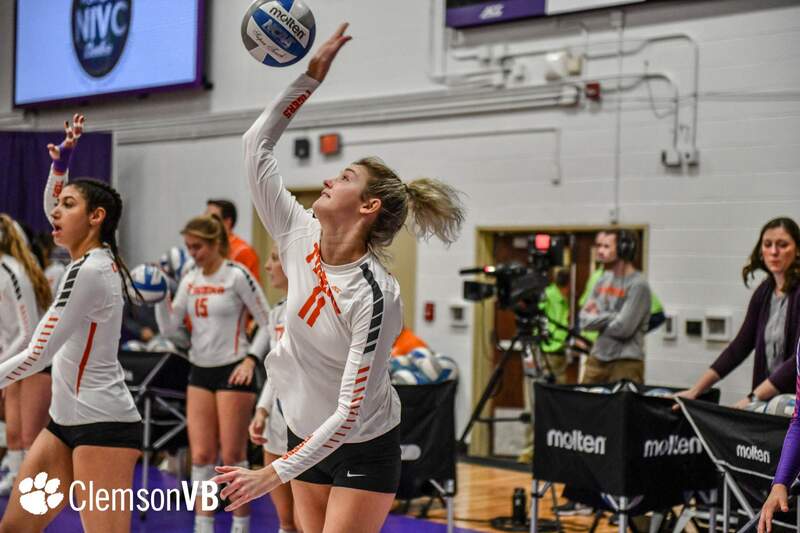 Redshirt-sophomore outside hitter Brooke Bailey reached double-digit kills for the 18th time this season, finishing Thursday’s match with 11. 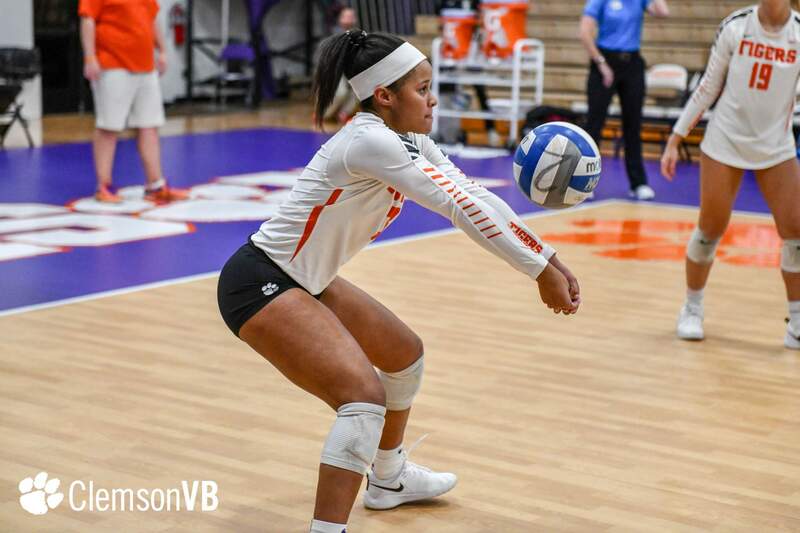 Additionally, freshman setter Gabby Easton posted 37 assists against the Cougars. 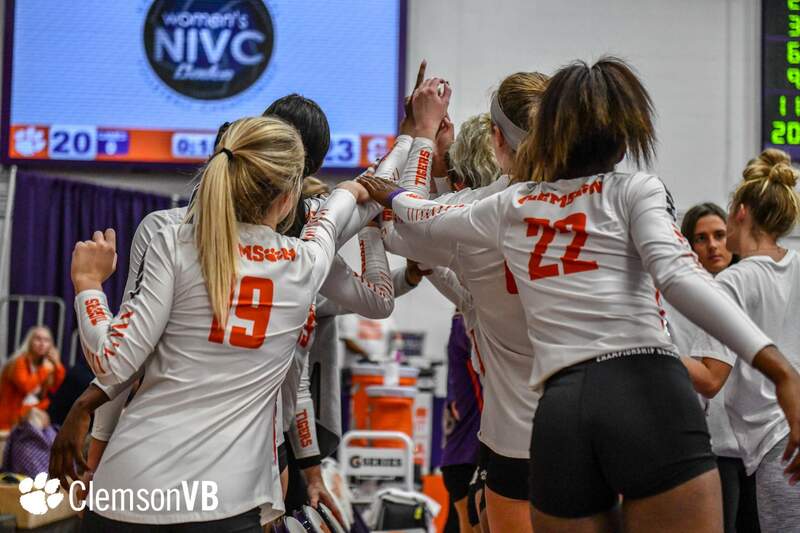 Clemson wrapped up its 2018 campaign having won eight of its last 11 matches.